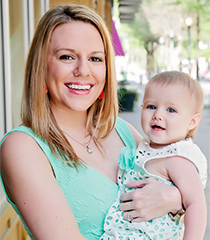 Once again I’m thinking ahead to our get together coming up for the big game and what easy but delicious recipes I can throw together to serve a few friends with a toddler and a newborn around. 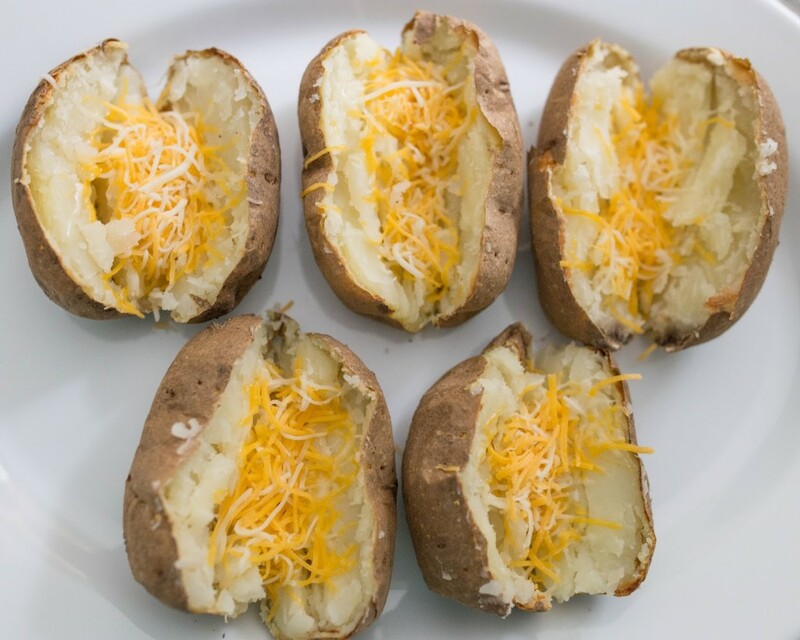 Getting creative with our baked potatoes is one of our family’s favorite things to do. It’s such an easy hack to make when entertaining and you don’t want spend too much time in the kitchen. Place potatoes on a cookie sheet and poke holes in them with a fork. Bake on 450 degrees for an hour. 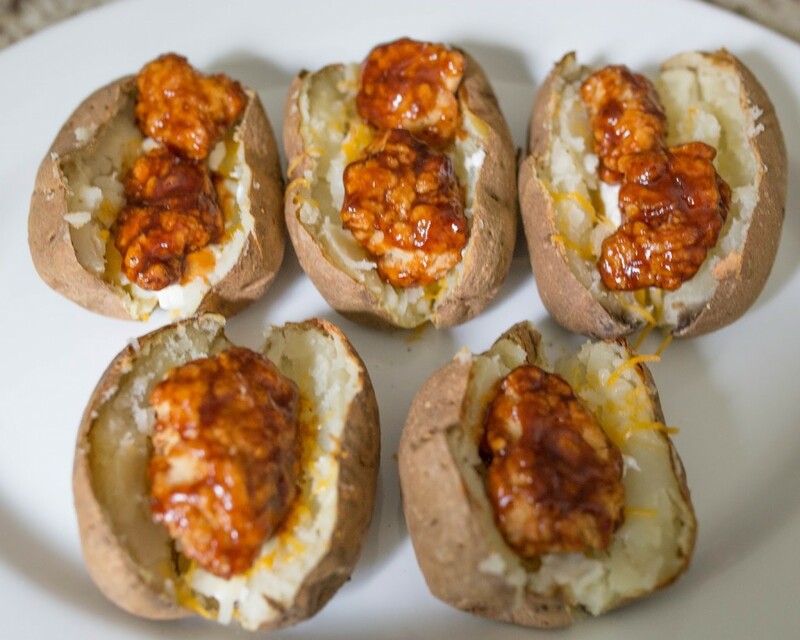 After potatoes have been in the oven 40 minutes begin to bake Boneless BBQ Chicken Bites according to the directions on the box. Remove potatoes from the oven. Place them on a serving tray and slice potatoes in half down the center. Sprinkle cheese immediately onto potatoes to allow it to melt. Top with small spoonfuls of sour cream and butter. Sprinkle each potato with salt and pepper to taste. Next top with chicken bites. 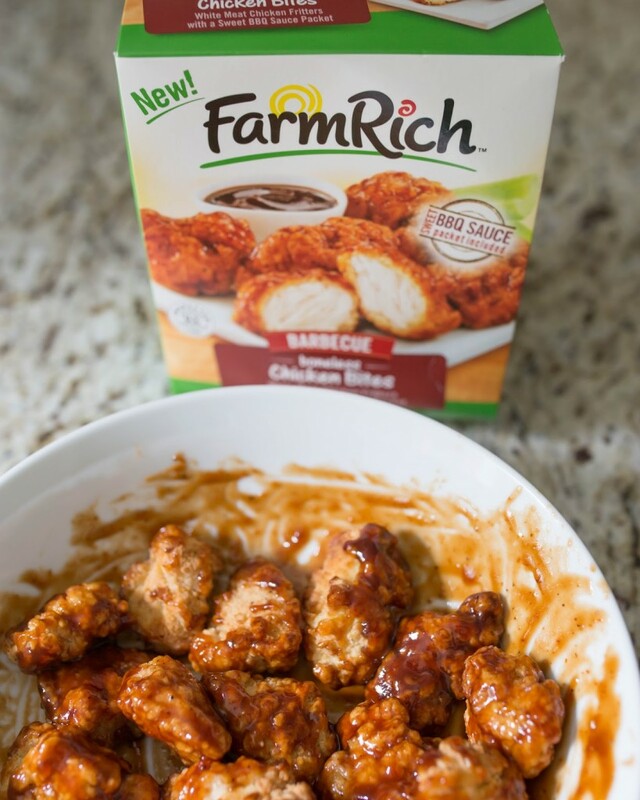 Farm Rich makes Football Game Day so easy! Moms want to spend more time cheering and less time cooking and these easy, delicious foods make that happen. 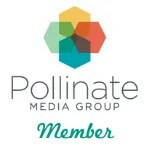 Make sure you visit the Game Day Landing Page for a coupon and loyalty club sign-up. 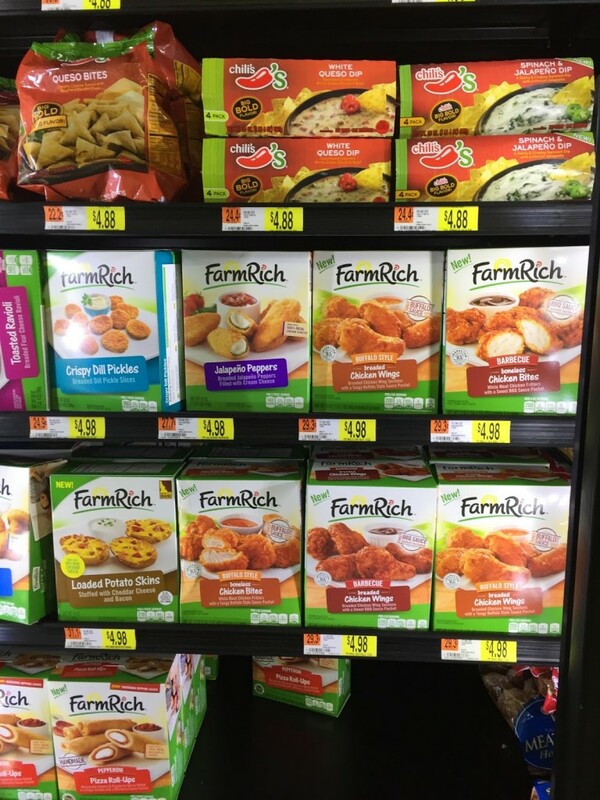 Become a super fan by entering the Farm Rich sweepstakes – prizes include a $100 gift card to Walmart and 1 year of free Farm Rich products. 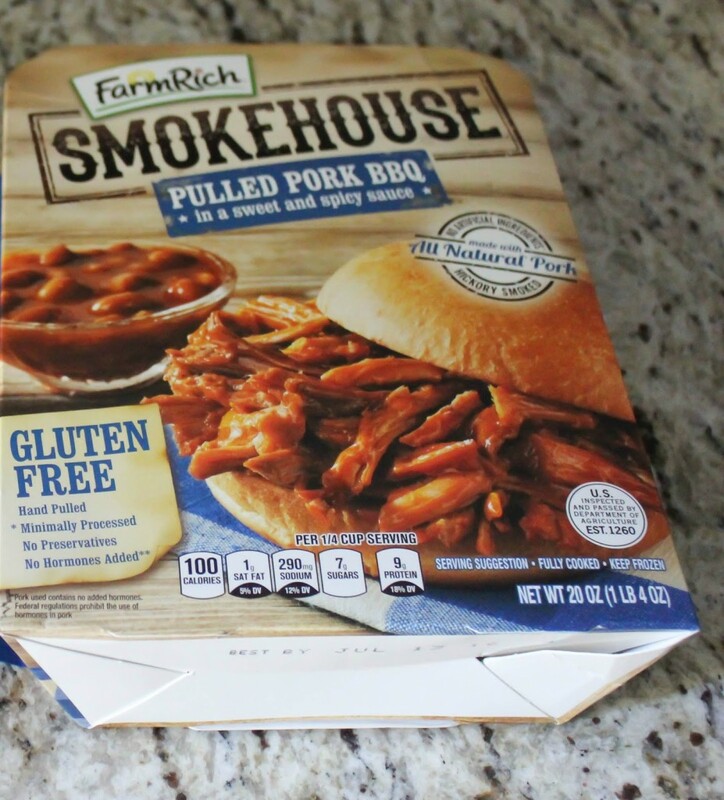 We also love the Farm Rich Smokehouse Pulled Pork BBQ for an easy entertaining meal! 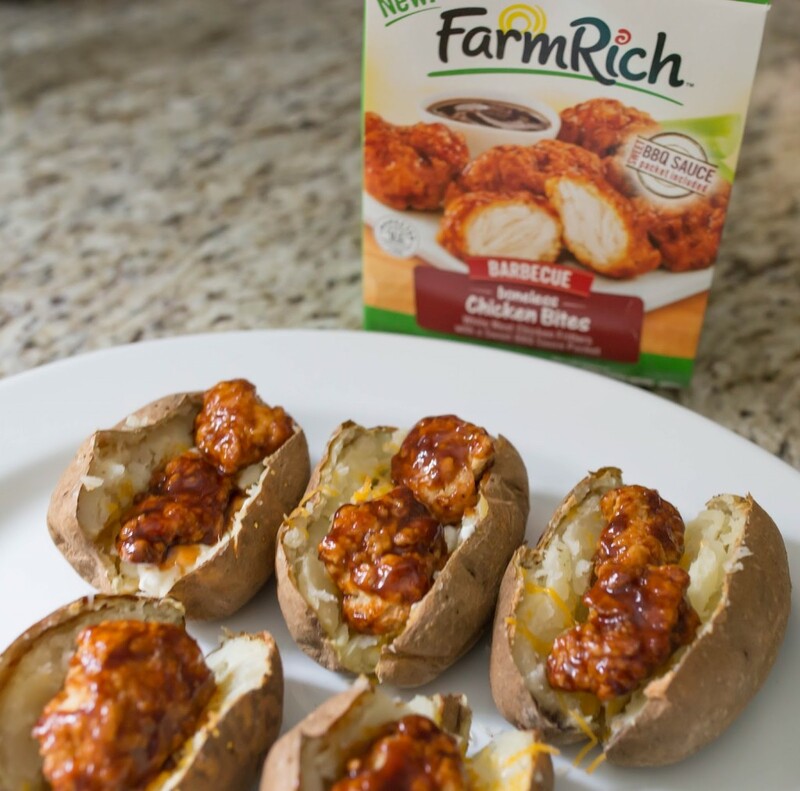 I find Farm Rich products and everything I needed for this recipe at my local Walmart! What are you doing for the Big Game this year? I have been craving some baked potato goodness and this stuff looks awesome!! I will have to try and make these. Potatoes are always on my grocery list because they have a long shelf life and taste great. I can't wait to give this recipe a try. And I'm super happy that it comes with bbq sauce because that's a sauce I haven't been able to get down yet. These look so good! 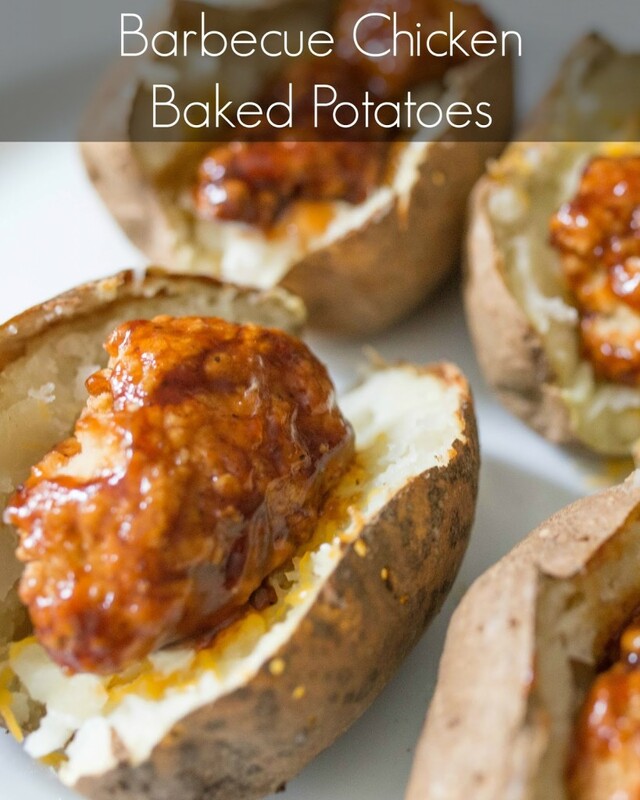 What a creative way to jazz up baked potatoes! These look pretty easy and so yummy!! Excited to try them! My mouth is seriously watering. 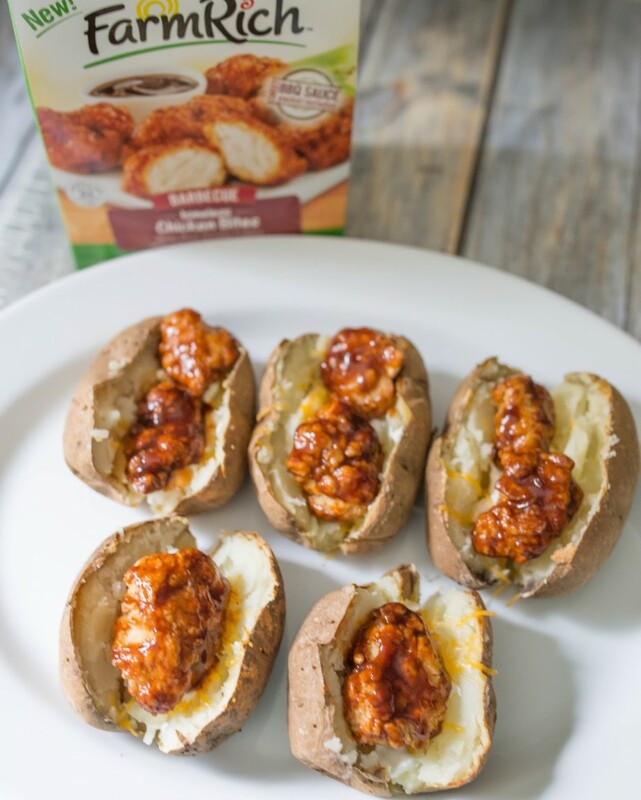 These little barbecue chicken potatoes look so yummy. I don't know how you came up with this, but it's genius! Wow! What a fun and unique snack. I LOVE the idea. Baked potatoes are always a good choice. And I love how affordable they are for a winter comfort food. OMG they look amazing and a full meal in one!